Take up to 75% off on dresses, coats, jackets, separates, knits, handbags, boots, and shoes for women at the L.K Bennett Warehouse Sale. 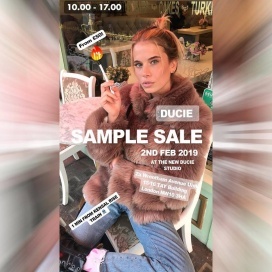 Shop for women's RTW, outerwear, and accessories at reduced prices at the Ducie Sample Sale. 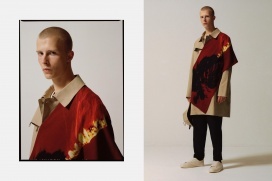 The Sale will be comprised of one-off samples, old, and current collection pieces. 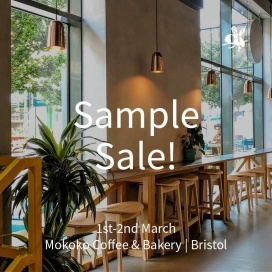 The Sample Sale will be comprised of slight seconds items. Shop for wedding dresses and accessories at reduced prices at the Haarlem Bridal Sample Sale. Email hello@haarlembridal.com to book an appointment. Take up to 60% savings when you shop for womenswear, swimwear and designer bags. Featured brands are Afina London & Elika Couture. Sample items can be purchased for as low as £20-£30. Cash and card payment only. Shop for men's apparel and accessories at reduced prices at the Billionaire Boys Club Sample Sale.